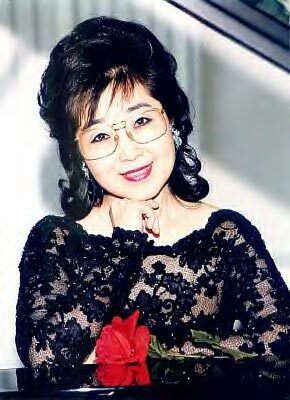 Huyn-Mi Chung was born in Korea and began piano lessons at the age of four. She was soon awarded distinguished prizes, among them first prize in the Honam, Pullma, Pung Moon, and the Competition for Young Pianists. As a young pianist she was one of a few to be chosen to make a recording at the age of twelve years old. In 1975, Miss Chung entered the preparatory division of the Juilliard School where she gave two recitals in 1977 and 1978. She continued at the Juilliard School to gain her Bachelor of Music Degree in 1982, and her Master of Music Degree in 1983. Miss Chung's teachers at Juilliard School were Jane Carlson and William Masselos and she had subsequent studies with Pierre Sancan in France. Miss Chung's performances include solo concerts in Paris and Nice, France, concerto performances with the Seoul Philharmonic Orchestra at Sejong Cultural Center, the National Orchestra at Seoul National Theatre. Miss Chung gave a highly successful debut recital in Korea and was broadcast throughout the country. Miss Chung gave several recitals in the New England area including a benefit concert for Korean school in New England. She also recently performed with Symphony Pro Musica. Miss Chung's artistry on her music was described by critics as "Hyun-Mi Chung, a pianist who pours her soul into the music; her melodies breathe and sing like a living human voice; therefore her music is alive." "She interprets the compositions with solid technique, and has the ability to project rhetoric with a keen sense of balance and structure, creating her genuine purity of style," and "The expressivity of her music making with clear tone was extremely convincing in producing a flowing quality, and a freshness of the mood and the strong desire to express inner beauty were clearly present."